Thank you for all your generous support! 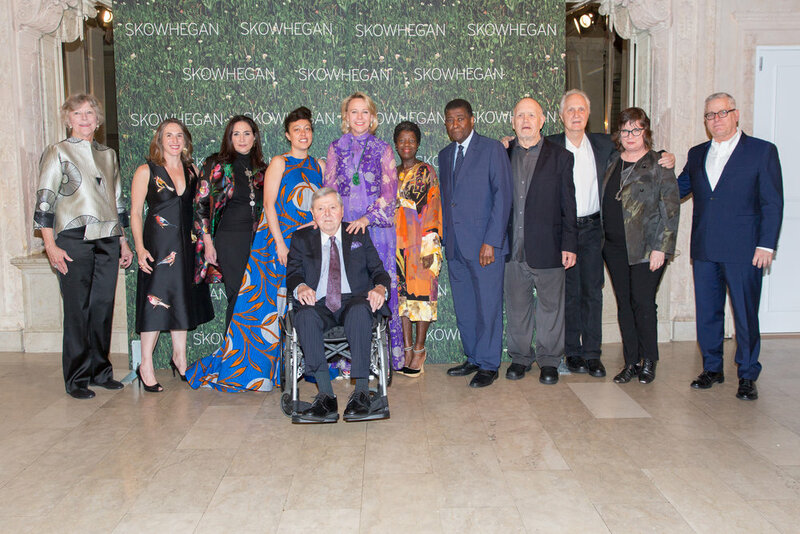 Thank you to our friends and supporters who joined us last night to support the future of artmaking at Skowhegan and celebrate our honorees, Jack Whitten, The Studio Museum in Harlem and William T. Williams, and The Pollock-Krasner Foundation and its Chairman and CEO, Charles C. Bergman! Click HERE to see photo highlights of the evening. 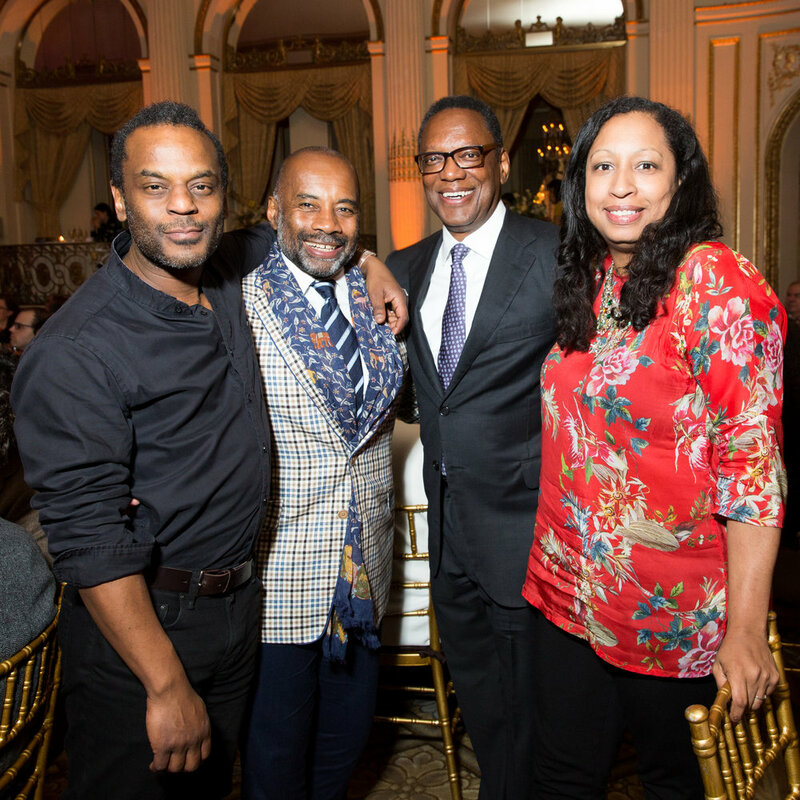 We would like to extend our gratitude to our co-chairs, Ellen Altfest A ’02, David Beitzel A '82 and Darren Walker, Leonardo Drew A ’89, F ’09, Rena and Scott Hoffman, Stephanie Hunt and Stephen Trevor, Bernard I. Lumpkin, Erica and Joseph Samuels; our Awards Dinner Committee; award presenters Guy Goodwin F '88 and David Reed A '66, F '88, Darren Walker, and Christy MacLear; Thelma Golden, Carrie Moyer A '95, F '10, Daniel Bozhkov A '90, F '11, Oscar Rene Cornejo A '14, Jeff Greene, and the Pollock-Krasner House & Study Center for auction items; auctioneer Gabriela Palmieri; and the incredible performers from Metropolis Ensemble. 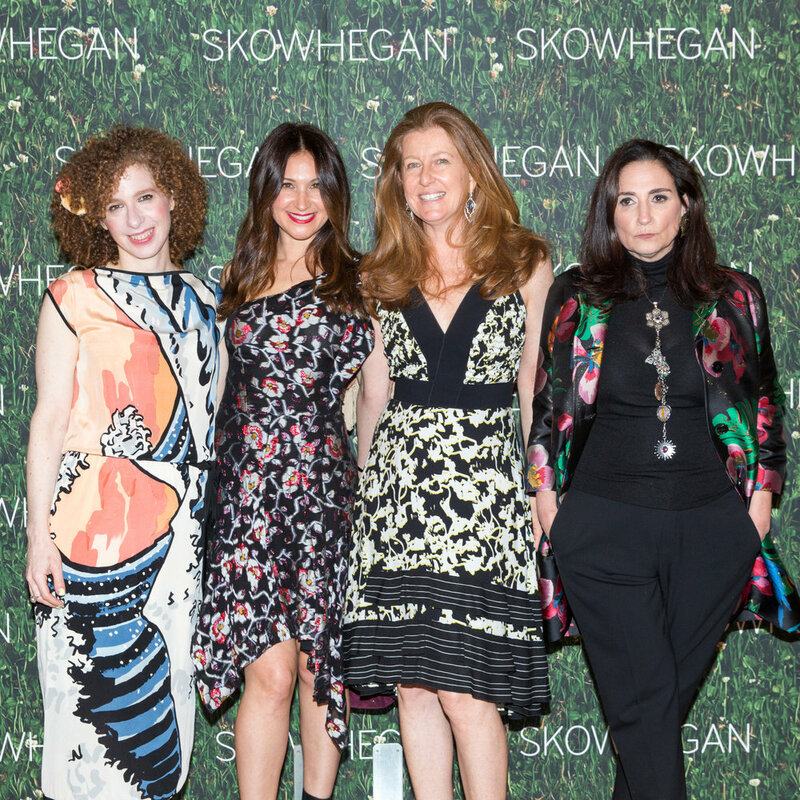 Over 500 people came together to support the future of Skowhegan and together raised over $900,000--a new record! We are so grateful to everyone who participated in this amazing celebration, and whose presence made for such inspiring energy in the room. Jack Whitten is an American abstractionist celebrated for his innovative processes of applying and transfiguring paint in works equally alert to materiality, politics, and metaphysics. Over the course of a five-decade career, Whitten has constructed a bridge between gestural abstraction and process art, experimenting ceaselessly to arrive at a nuanced language of painting that hovers between mechanical automation and deeply personal expression. Whitten's work has been the subject of numerous solo museum exhibitions and is included in prestigious private and public collections around the globe. He was awarded a 2015 National Medal of Arts by President Obama. The Studio Museum in Harlem was founded in 1968 and is the nexus for artists of African descent locally, nationally and internationally, and for work that has been inspired and influenced by black culture. Painter William T. Williams envisioned the Museum’s foundational Artist-in-Residence program. The AIR program now in its 47th year has provided three artists each year with 11 months of free studio space, a stipend, and a culminating exhibition. 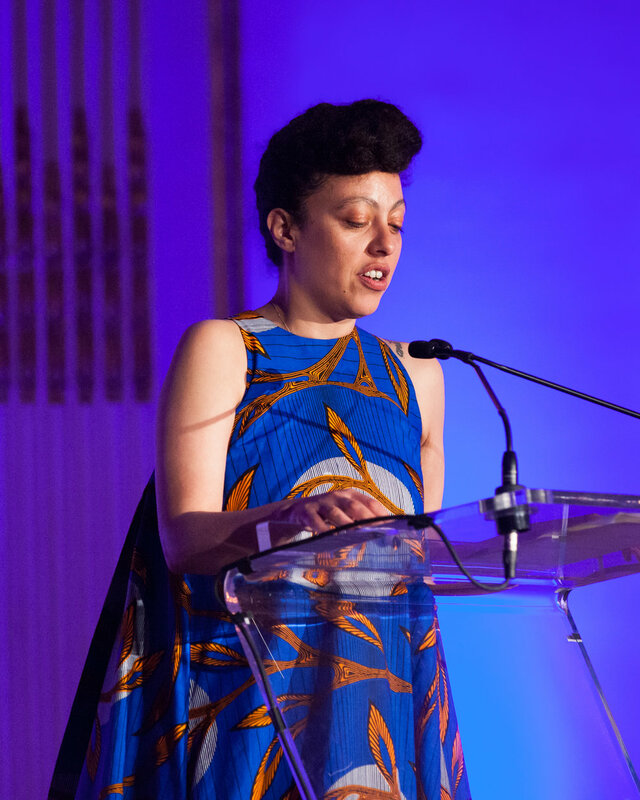 This catalytic program has supported more than 100 artists of African or Latino descent, including some of the most significant artists working today. Established in 1985 under the will of Lee Krasner, a leading Abstract Expressionist painter and the widow of Jackson Pollock, The Pollock-Krasner Foundation (PKF) is the largest private foundation created to exclusively aid worthy and needy visual artists worldwide. Charles C. Bergman is Chairman of the Board and CEO of the PKF and has directed over $67 million in grants to artists in 77 countries. Mr. Bergman is a leader in the field of artist-endowed philanthropy and has played active roles at: The Aspen Institute; New York Foundation for the Arts; Provincetown Fine Arts Work Center; the New York City Cultural Affairs Commission; and the New York State Council on the Arts. Even if you cannot attend the event in person, your support will still make a difference to the artists participating in the 2017 program.